When I was in Thailand a few weeks ago I went to this big shopping mall in Chiang Mai. For a city that is not so big (population 150,000), it has a very big mall! Four floors tall with one floor just for electronics, a floor that is mostly food (I lost count at 6 Japanese restaurants), clothing, books, this and that. It was pretty amazing and next time I have to go there for work I’m taking an extra suitcase to bring back stuff. Where else can I find clothes that are the right length for me? I should have been shopping in Asia all along. Trying to find clothes that fit in the land of the giant humans is impossible for me. There is one small bookstore that carries only Japanese books. They have the usual manga and teen rags, but also business books, gardening, cooking, languages, all kinds of books crammed into this one small shop. And of course, what did I find? 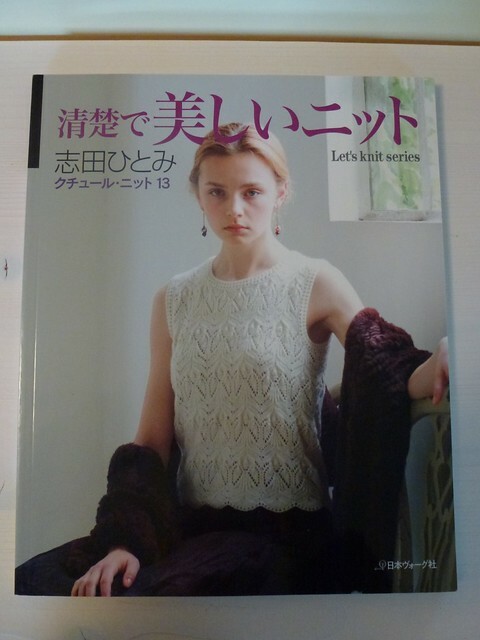 A knitting book that I just had to have. It was kind of expensive. The equivalent of 60 euros (about $78). OK, I felt like it was really expensive and when I heard the price I put it back and walked away. That night I talked to DB and he said “WHAT? You go back and get that book. You have other knitting books that cost that much so if this one is so special you should have bought it.” You see why I love him. So, the next day I did just that – I went back and bought it. What a treasure! 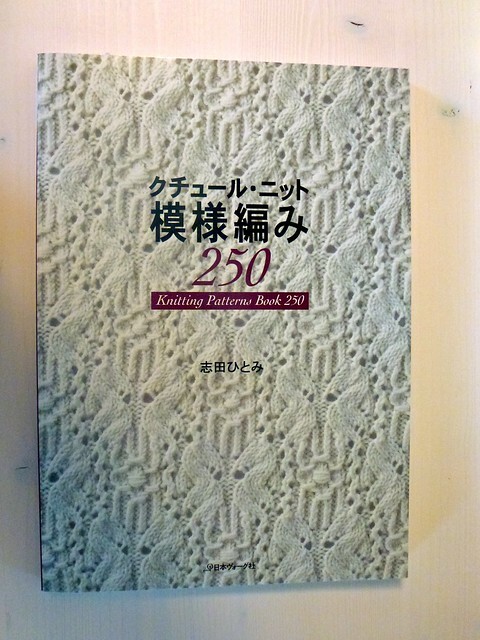 First of all, when the Japanese say “knitting” they also throw “crochet” into that category so this book has 700 knitting patterns and 300 crochet patterns. Fine. I didn’t know that when I bought it because it was shrinkwrapped, but I’m not disappointed. There are the usual list of knit and purl stitches, but then you get into some nice combos, like lace with cables, and this one – #511 – which is a combination of brioche and normal knit cables. There are fair isles and interesting color work patterns. Notice the charts? Everything is charted. No written instructions. Can’t read Japanese? Me neither. But at the front of the book there are diagrams with the chart symbols. Just match the symbol from the pattern you like with the symbol in the diagrams and you can figure it out from there. 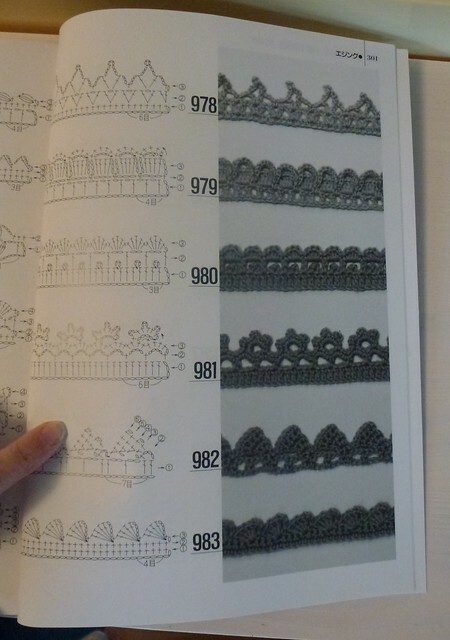 The crochet patterns are also charted. I’m not very good at crochet so this would be more work for me to decipher, but probably is well worth the effort. 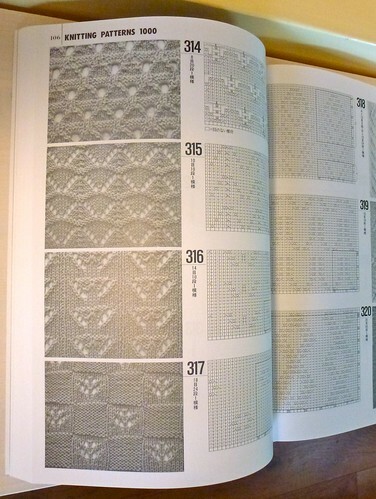 There are 300 crochet patterns! Who would have thought! There are some really lovely edgings too. 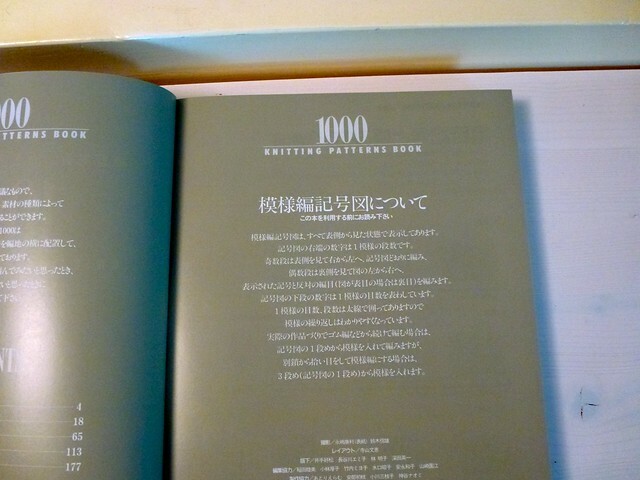 If you want to look for this book, I can’t really help you with ISBN numbers or anything like that. The only thing in English is the title. Search for that and good luck to you! 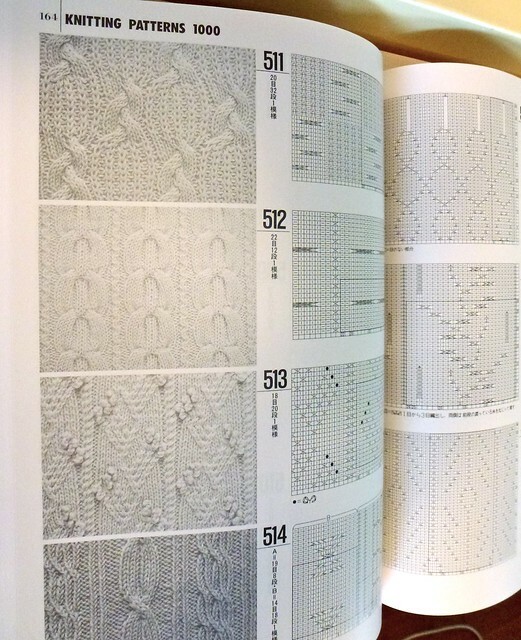 Everywhere I go I look for Japanese knitting books. I LOVE the fact that they are always charted. I love charts. 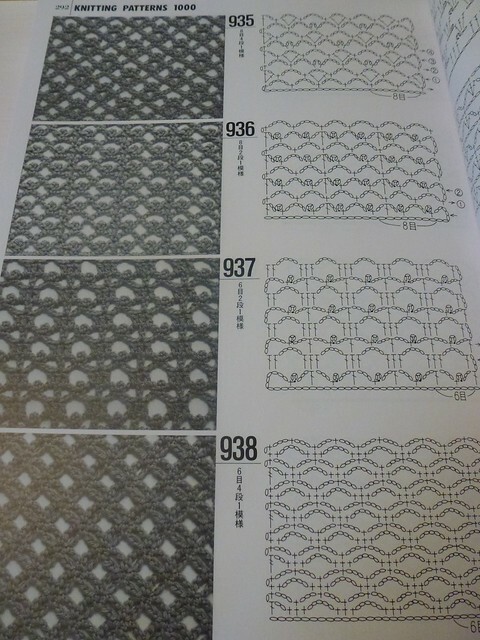 I have this other stitch pattern book that is fantastic too. It is mainly complicated lace and cable designs. I used a modified version of the cover stitch pattern in my Butterfly Circus socks. 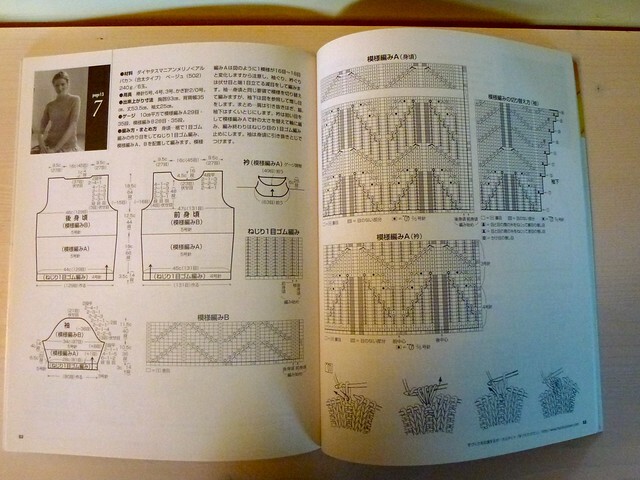 The first Japanese knitting book I ever bought was this one. I can’t even remember where I bought it. 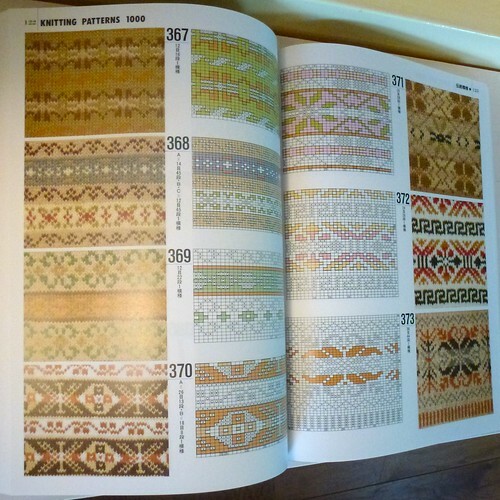 It has 20 garment patterns in it with stunning intricate stitches. I haven’t made anything from it, but I just love to look at it. All of the patterns are written for just one size. 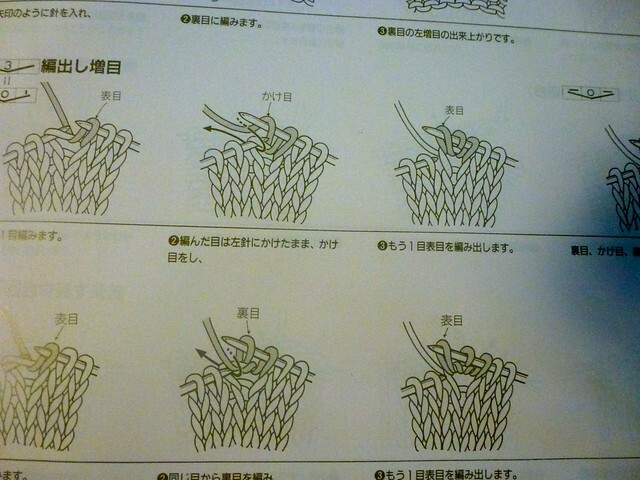 You have to figure out the other sizes yourself, which I understand is typical for Japanese patterns. 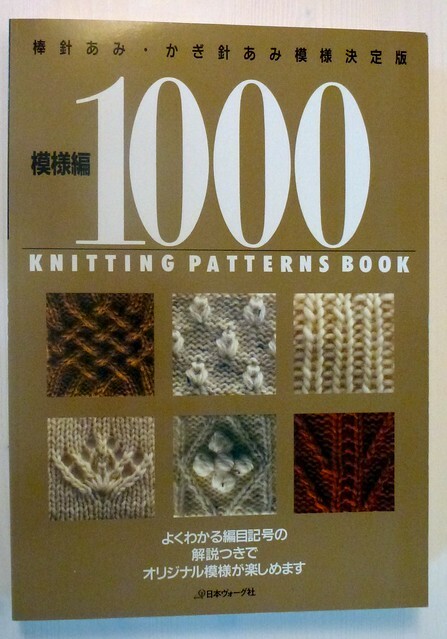 There is no English in the book, but if you are a good knitter you can figure it out. Everything is charted. 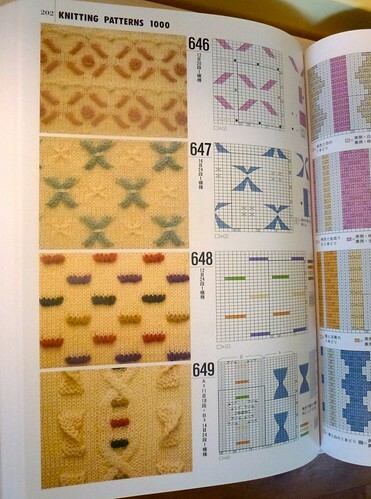 There are complete charts of the garment pieces too. No need to converse, just knit! I’ve gotten pretty good at matching symbols to symbols in order to figure out the instructions. If you are patient, it is doable. DB and I are hoping to go to Japan sometime in the next two years. You can bet that I’ll be taking along an empty suitcase for knitting related items. I’ll feel like an explorer discovering a whole new world! What a great find! And thanks to DB for encouraging you to buy it so we can learn about it too. I did a Google search and found it at http://www.bonanza.com for $55 (US), plus $19 for shipping from Hong Kong to US. Don’t know what it would be to ship to Europe. I haven’t decided whether to get it or not (I do have, uh, a few other stitch pattern books), but it looks like quite a treasure. Oh thanks for the link Betty, in case anyone else wants to buy the book. 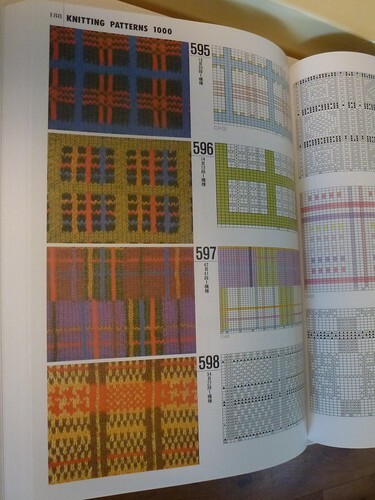 I know what you mean about stitch pattern books. I seem to be collecting them and creating my own library. I wonder how many knitters out there have pretty substantial libraries!